Cebu Landmasters Inc. (PSE: CLI) recently signed a lease agreement with the Archdiocese of Cebu for a PhP900-million redevelopment of a 6,670 square-meter property in the heritage-rich downtown area of the Queen City of the South. 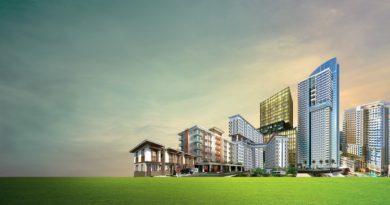 The Patria de Cebu property, which currently offers budget-friendly accommodations for travelers, will be transformed into a mixed-use development. The approved masterplan will feature an integrated retail, office and hotel structure with a Rome-inspired plaza. The masterplan considers streetscape and pedestrian improvements for the revitalization of the surrounding downtown areas. “We envision the new Patria de Cebu to be a center of culture that will celebrate Cebu’s history and heritage,” said Jose Soberano III, CLI president and chief executive officer. The site, which is owned by the Archdiocese of Cebu, is located just in front of historic Metropolitan Cathedral Church and walking distance to places of interests in Cebu City like the Basilica del Sto. Nino and Magellan’s Cross, and the busy Colon Street. The place is also near to the ports of Cebu. The listed developer said the development will preserve and enhance the cultural heritage of downtown Cebu. With inspirations drawn from famous gathering places in Rome, the new Patria de Cebu will feature a beautiful central plaza where people will be able to gather and mingle. “Cebu Landmasters operates on Christ-centered values and principles. The company sees the Patria redevelopment as a grace-filled opportunity to be of greater service to the Church and the people of Cebu,” added Soberano. In a contract of agreement signed by both parties, CLI will develop and operate the new Patria de Cebu property for 40 years. The Patria de Cebu development is also expected to provide additional support to the archdiocese and its various parishes in the coming years. “The impact of this project will not only benefit the Archdiocese, but also every Cebuano. The new Patria de Cebu will uplift the downtown area that is in need of a master-planned development that connects well to the city’s history while creating new practical functions to serve the community,” said Soberano. From its origins as a youth recreation center, Patria de Cebu has been used as a convent for nuns, and finally as a budget-friendly hostel for city visitors needing clean, safe yet inexpensive accommodations. Established in 2003, Cebu Landmasters now has 52 projects in different stages of development across eight cities in Visayas and Mindanao. It was listed in the local stock exchange on June 2, 2017 and has since transformed from a small local developer into a pioneering industry player.